Congratulations to the Canadian Spiderman! 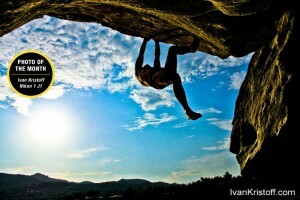 His photo has been selected as Nikon Canada’s Facebook Photo of the Month for August 2012. “I was scouting out locations in Greece for my upcoming photo exhibit titled, ‘Achieve New Heights,’ which takes place on November 6-8, 2012 at the Dubai Helishow 2012 Exhibition. I wanted to capture a picture that would portray my personal philosophy, ‘Achieve New Heights,’ by focusing on a man who is taking a risk and looks out into the open. For this photo, I found a spot for my Nikon 1 J1 camera with 10mm lens and set the Self Timer option for 10 seconds. It was just enough time for me to climb up. If I remember correctly, I had a burst of continuous shooting. This photo was my favorite picture of the set“, says Ivan. 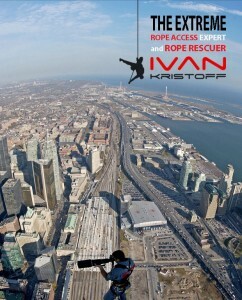 Ivan Kristoff specializes in aerial photography since 1997. He takes aerial shots and video for the leading highrise builders in Canada and Swiss made watch companies. His owns a photo bank of over 100,000 images. “My preferred helicopter for aerial and vertical operations is Eurocopter AS355, equipped with very good retaining belts, suspension points and an external load and hanging system for human loading and Spidermans. 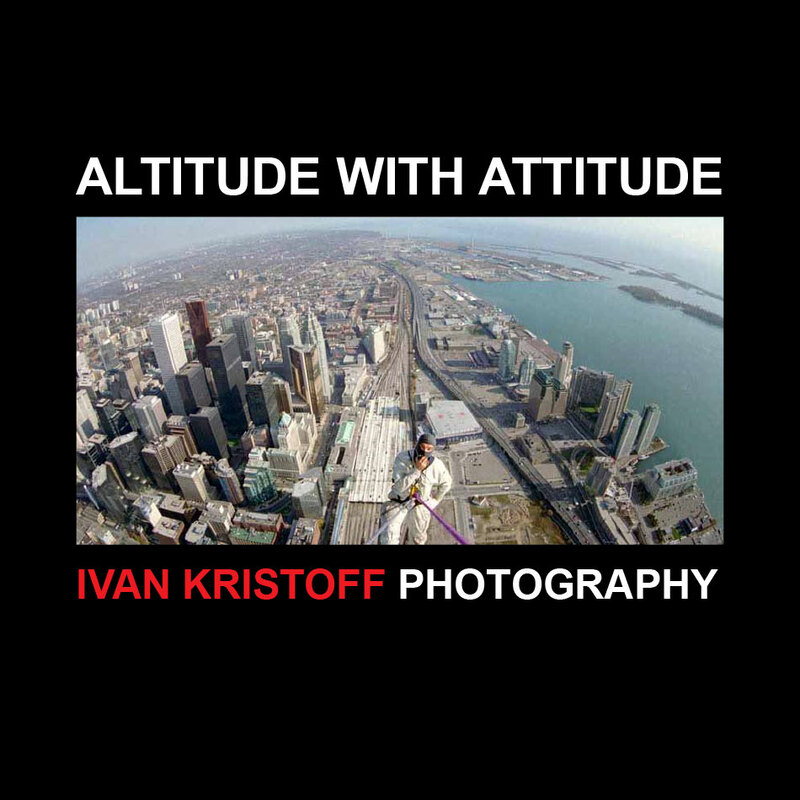 Now my passion is to capture images with the light aviation”, says Ivan. In the fall of 2002, Ivan Kristoff spent near $ 20,000 to buy his first Nikon D1x digital full kit and Nikon F80 film cameras (equipped with the 14mm/2.8 and 35-70mm/2.8 Nikon lenses and other accessories) to photograph the iconic buildings of Tridel, one of the top Canadian building developers. A few days later he completed his assignment and paid off his investment. Than from working on ropes he pursued a career as a high altitude rope access photographer. A decade later, he feels lucky to be able to describe himself as a self-taught advertising photographer. Kristoff’s client list today includes some of the biggest and most influential names of Canadian developers, property management, construction, helicopter operations and special event companies. 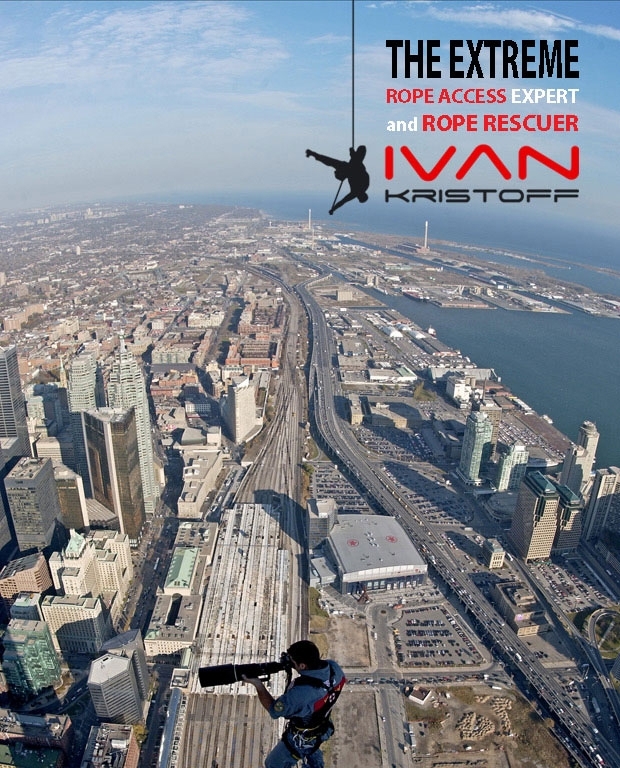 In year 2003, just after Ivan Kristoff completed the first exterior rope access work on the inaccessible areas of the tallest tower in the world, he became a member of the selected group of Special Nikon Photographers (NPS). 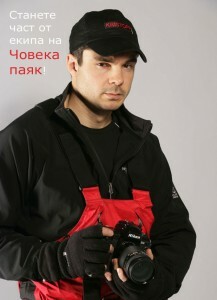 Now Ivan, aka Spiderman, created a Digital Workflow Group to teach rescuers in the most challenging requirements of remote access photography.Since 1996 some of the Top 10 companies from Fortune 500, have featured Ivan Kristoff’s success story in using their advanced technology in the case studies and newspapers. World renowned leaders in IT such as Sony Ericsson, Lenovo, Nokia, Nikon, Canon, Hewlett Packard, Panasonic, Acer, Epson, Lenovo and Itronix provide Ivan Kristoff with their new equipment for tests. With the Nikon New Generation Digital Imaging System for Professional Photographers Ivan can provide the latest developments for collecting Permanent Visual Records during this research project. This airborne stunt takes the audience on a heart-pounding and action-packed ride as Ivan Kristoff sets off on a thrilling visual journey captured on Nikon cameras.”The multi – camera set for video monitoring consisted of a Nikon 1 J1 with 10mm/2.8 lens on my helmet, Nikon D7000 with 14mm/2.8 lens focused on the spot where the victim airborne extraction would take place, and a Nikon D5100 with 10.5mm/2.8 lens to cover the water rescue operation. The Nikon 1 J1 camera with wide angle lens, captured the video and photos from my eye’s point of view. That is the key element for the trailblazing and air rescue educational film. Action, adventure and extreme sports photography is an industry where the rules are still in the process of being written. When I decided to mount a few Nikon cameras on board of the water rescue boat, I thought that it was enough to document the essential elements of action in a Sea-Air-Land rescue mission. After reviewing the visual documentation, I realized that at least 10 cameras are needed to cover the important points of view. More important – they must cover the right places for shooting training videos. This requires a new approach to the convergence of still photography and film making. For my project to make c I have to excel in the field of movie-making by innovation and simplicity. That is why I will rewrite the rules for documenting aerial operations and visual storytelling for educational purpose”, says Ivan Kristoff. 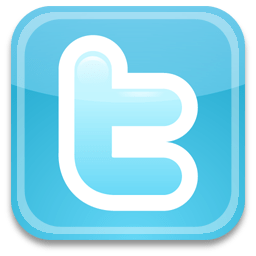 Stationary – from a fixed angle of view. Mobile – from any elevation during vertical progression. Aerial – from a helicopter.